Development and validation of dietary assessment methods, which is really about assessing people's dietary intake accurately to enable targeted feedback that's both practical and meaningful for individuals to make dietary improvements. I have a focus on children as there are less tools available to use and many additional considerations including cognitive abilities and using parents as a proxy. I have a great appreciation for science. Doing something I am passionate about everyday that has the power to change lives for the better ... that's pretty amazing to call work! My career goal is to become an independent internationally recognised researcher who produces high quality investigations to address diet and eating behaviours which can be used to develop or refine new interventions and angles to inform policies to improve the nutritional status and weight of populations. Associate Professor Tracy Burrows is an Advanced Accredited Practising Dietitian (AdvAPD) and Senior Lecturer in the School of Health Sciences, Faculty Health and Medicine at the University of Newcastle. She completed her PhD in 2008 and was appointed Lecturer at UON in the same year. Prior to this, she worked in private practice as a dietitian, having obtained an undergraduate degree BHSc (Nutrition & Dietetics). Associate Professor Burrows has developed a cohesive program of research on obesity over the lifespan ranging from preschool through to adulthood, with particular focuses on food addiction, biomarkers/validation methods and obesity management. She has employed a variety of nutritional biomarkers sourced from blood, plasma and urine including carotenoids, red blood cell membrane fatty acids and double labelled water. Associate Professor Burrows has overcome a range of methodological barriers specific to paediatric populations, including practical family arrangements, limited attention spans, and varying stages of cognitive development, to obtain nutritional outcome measures. Her intervention work in obesity treatment and prevention has been translated to a diverse range of population groups including indigenous and low income families. One community translation study received an award from the World Health Organisation for Excellence in Obesity Prevention (2014). Associate Professor Burrows' research expertise also includes qualitative work underpinned by theoretical constructs, and applications of clinical imaging techniques such as fMRI (functional MRI scans). Through her research and expertise, Associate Professor Burrows has worked with the Medical Research Council, UK and consulted to the National Cancer Institute, USA. From 2011-2015 she co-chaired the Food and Nutrition Stream of the Australasian Child and Adolescent Obesity Research Network (ACAORN). Associate Professor Burrows has published numerous papers in international journals and presented at both both National and International conferences. She has also received >10 research awards including the 2014 Scopus Young Researcher of the Year in medicine and medical sciences. 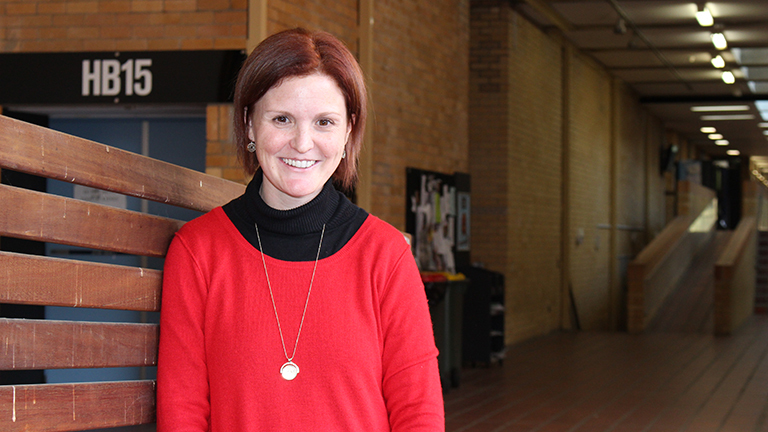 She regularly supervises a variety of Masters, PhD and undergraduate honours projects. In 2012, Associate Professor Burrows was part of the leadership team that undertook the systematic reviews to update the NHMRC dietary guidelines. She contributed to evidence synthesis and guideline development, which informed the writing of these national guidelines. In a similar role she was part of the team that undertook the reviews for revision of the Dietitians Association of Australia Obesity Management Guidelines for Obesity. Improving peoples lives through better nutrition and dietary behaviours.